Jane Yolen is the author of more than 300 books for children and young adults, including SOFT HOUSE, OWL MOON, and HOW DO DINOSAURS SAY GOOD NIGHT? She also collected poems for HERE'S A LITTLE POEM: A VERY FIRST BOOK OF POETRY. Jane Yolen divides her time between Massachusetts and Scotland. 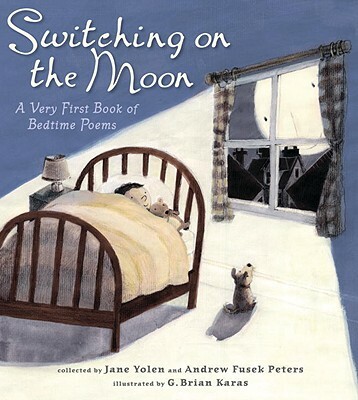 Andrew Fusek Peters is a poet, anthologist, and playwright who has written and edited more than seventy children’s books. He also collected poems for HERE'S A LITTLE POEM: A VERY FIRST BOOK OF POETRY. He lives in Shropshire, England. G. Brian Karas has illustrated close to ninety children’s books, including Megan McDonald's ANT AND HONEY BEE: A PAIR OF FRIENDS AT HALLOWEEN. He has also written and illustrated several titles, including HOME ON THE BAYOU, a BOSTON GLOBE-HORN BOOK Honor winner. He lives in Rhinebeck, New York. Sixty well-chosen poems conjure up the perfect atmosphere for dreaming. Sometimes playful and sometimes thought-provoking…There are many moments to enjoy and to treasure within these pages.